Do you ever feel like your children are plotting against you? You wake up from just a few hours of sleep to care for their every need, and they whine and complain about every decision you make. You are not alone. We love our kids, but sometimes we it's hard to feel the love being reciprocated. We need a little humor thrown together with words of wisdom and comfort to make it through the day. Today's interview promises just that. 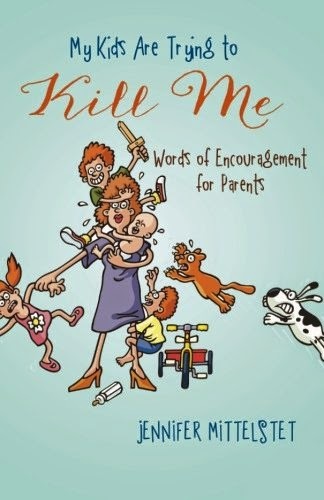 Jennifer Mittelstet, author of the hilarious book My Kids Are Trying to Kill Me, is stopping by to answer some questions about her book and raising children. She is also giving away her book to one lucky reader! Grab a cup of coffee, and enjoy a little time with Jennifer. Tell us a little about you and your family that is not on the back of the book. My husband and I are die hard OSU Cowboys fans! From September to January, we center our lives around Cowboy football. One of our favorite family activities is bike riding with the boys (we generally end up at Bahama Bucks for snow cones). The absolute favorite food in our home is cereal. I have loved cereal my entire life, and I have passed that love of cereal on to my husband and now my boys. We eat cereal for breakfast, snacks, lunches, dinners, even bedtime snacks a lot of nights. I know, I know, terrible habit, but one I've never been able to break! My husband came home from work one day and said, "Baby, you should write a book." I've learned a lot over the years from teaching dyslexia, and I have quite a passion for helping the parents of children with dyslexia. He told me he thought I should write a book for those parents to help them understand and help their children with their learning. I prayed about it, and God said, "It's a nice thought, but I'd rather you write to encourage all parents rather than a small minority of them." So after telling God several times that I was a horrible parent and no one wants or needs to hear my opinions on parenting and that he needed to find someone much more qualified, I finally decided to be obedient. So, I wrote the book putting all of my fears, mistakes, and self-doubt out there for all of the world to see in hopes that it would help or encourage even one parent who might be struggling. Did you always want to be a mom? Heck no! I never wanted to be a mom. I told my mom several times growing up that I was never having kids. I told her they were way too much work! And let me tell you, I was right! They are a lot of work, but I am so thankful and blessed every day (well, most days) by my kids. God sure does have a sense of humor. Never tell him you don't ever want to do something. In my case, he'll make you do it times three! You mention how plans seem to change even when you plan ahead. Do you have any advice on dealing with uncertainty when children are in your life? My best advice on dealing with uncertainty with children is to always allow yourself extra time. If I know it will take me 20 minutes to pack lunches, load a diaper bag, and dress children to get them to a certain place on time, then I always double that time. So, I would start 40 minutes before we have to leave. Just giving myself a little extra time, reduces my stress, puts less stress on the kids, and allows for unexpected tantrums, potty breaks, spills, etc. I have learned with three kids, that something is always going to go wrong with your plans. If you always expect it, then it will just be a nice little bonus when things go smoothly as planned! How do you keep your marriage strong when you are so busy with little ones? Sorry to be so candid on this one, but honestly keep your husband happy (if you know what I mean), and your marriage will be happy. Men honestly only need one main thing. Yes, there are a few other things, but if you make sure you are paying attention to their main need, then they feel loved in those other areas as well. I speak from experience on this one unfortunately. There was a time in my marriage where my husband and I were really struggling. It was after the birth of our second son, and I was certainly in no mood to meet his needs with the extreme exhaustion from a newborn baby. Additionally, I wasn't getting my needs met, so I figured I didn't have to meet his needs. That was a recipe for disaster. It wasn't until I put aside my own needs and decided to be the wife that God was commanding (and I use the word commanding here on purpose, because God was loud and clear) me to be, that our marriage improved dramatically. I can't tell you how many times I begrudgingly "fulfilled" his needs, before our marriage began to show signs of improvement. And here's the awesome part, my husband began meeting my needs (which mostly included breaks from the kids) and going above and beyond to help me and make me a happy wife. I'm thankful that God worked so miraculously in our marriage at that time, because we have an amazingly strong marriage today. I am thankful to have him as my husband and my best friend. What was the deciding factor on having 3 children? We had our two boys and life was finally getting a little easier as our youngest turned two. We were out of the newborn stage and had moved on to having a little more freedom to go places and do more things. That's when my husband said, "I don't feel like our family is complete yet. We really need a little girl." I reminded him that there were no guarantees that we would have a girl, but I prayed about it and felt God telling me that Matt was right, our family was not yet complete. I told Matt if we were going to have another one, then it had to be soon. I didn't want to get any further down the road before having to start over with an infant again. So, we went for it. We didn't get our little girl, but Logan has truly completed our family. Now, I have a little girl kitten, so I don't feel so alone! I wish someone would have told me that the birth of the second child is the one that really rocks your marriage. We went into it thinking we've already done this once, it's no big deal. But what we didn't realize was that when you have more than one child, you really don't ever get a break in the first few years. When you have one child and you or your husband are having a tough day, you can hand the child off and go take a breather. When there are two children, and one is an infant, you really can't do that very often. It's quite an adjustment to learn how to be "on the clock" all the time. And as I stated before, it really does a number on your marriage. I think I would have gone into it with a different attitude, possibly made sure our marriage was stronger with more date nights or whatever was needed, prior to the arrival of that second baby. 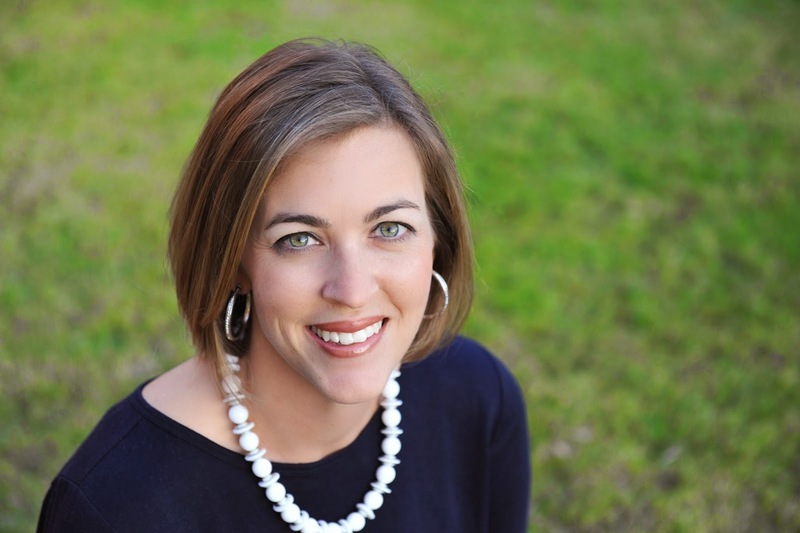 Jennifer, thanks for taking time to answer some questions and encouraging us. Don't forget that she is giving away a copy of her book! The winner of the book My Kids Are Trying to Kill Me is Holly Bennett. Congrats, Holly!